IT'S THE 2015 MASTERS! Magnolias, azaleas, Amen Corner, patrons, pimento cheese sandwiches and so much more. "If the Masters offered no money at all, I would be here trying just as hard." "I've never been to heaven, and thinking back on my life, I probably won't get a chance to go. I guess winning the Masters is a close as I'm going to get." "I told Hord Hardin I was getting too old to play in the Masters, but he kept saying, Gene, they don't want to see you play, they just want to see if you're still alive." "On the 15th hole I started thinking how I'd look in the Green Jacket. The next thing I know, they're giving it to Charley Coody." Note: Sky Sports has the UK coverage. 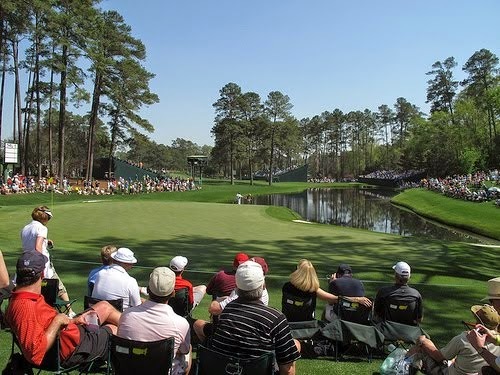 Live from the Masters 8 a.m.-3 p.m.
Live from the Masters 7:30-9:30 p.m.
Live from the Masters 9:30 a.m.-3 p.m.
Live from the Masters 7-9 p.m.
Live from the Masters 9:30 a.m.-2 p.m.